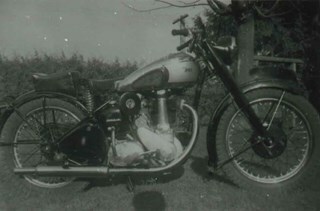 Photograph of Basil Pontifex's motorcycle at 4006 Douglas Road (old numbering) and Gilpin Street. 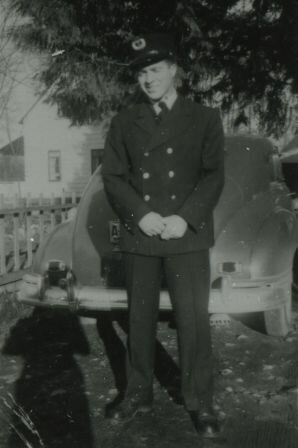 Photograph of Basil Pontifex, in his firefighters uniform, at 4006 Douglas Road (old numbering) and Gilpin Street. 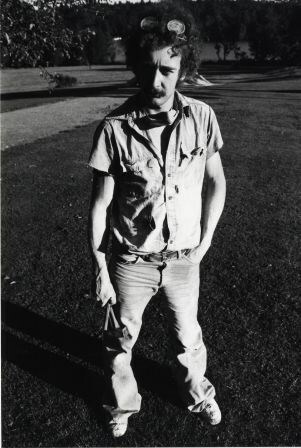 He is standing in front of a car. 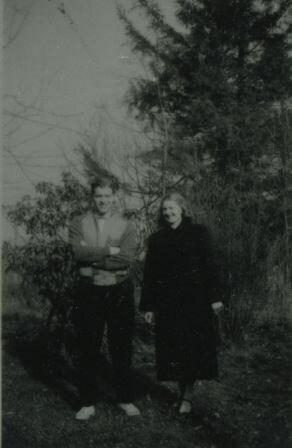 Photograph of Basil Pontifex and Joi Barber-Pontifex standing at the front of 4006 Douglas Road (old numbering) and Gilpin Street. 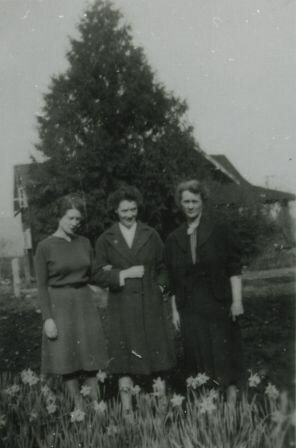 Photograph of (left to right) Vivien Pontifex, Audrey Pontifex and Beatrix Pontifex at back of the 4006 Douglas Road (old numbering) and Gilpin Street standing behind a host of daffodils. 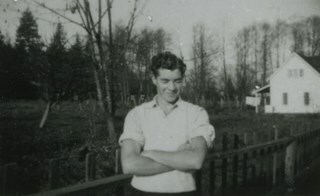 Photograph of Basil Pontifex at the back of 4006 Douglas Road (old numbering) and Gilpin Street. 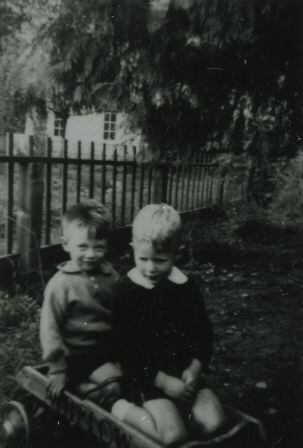 Photograph of [first name unknown] O'Connor and Bob Pontifex at the back of 4006 Douglas Road (old numbering) and Gilpin Street. Bob Pontifex is in uniform. 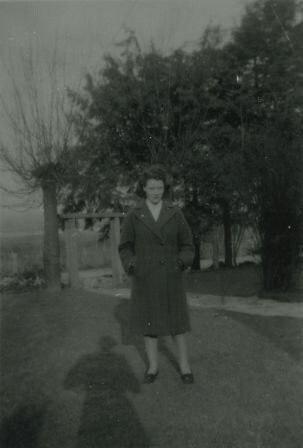 Photograph of Audrey Pontifex at the front of 4006 Douglas Road (old numbering) and Gilpin Street. 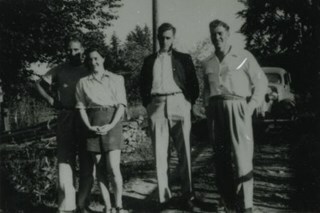 Photograph of (left to right) Wally Devereux, Audrey Devereux, Bob Pontifex and Basil Pontifex, at the back of 4006 Douglas Road (old numbering) and Gilpin Street. 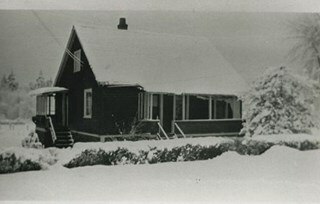 Photograph of 4006 Douglas Road (old numbering) in the snow. The house was located near Douglas Road and Gilpin Street. 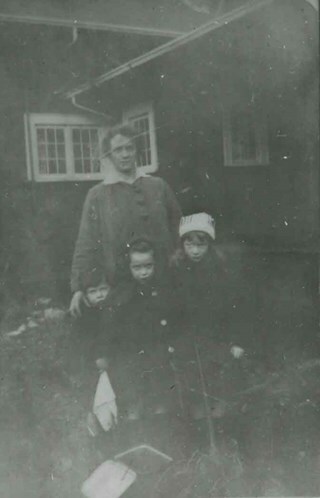 Photograph of the Pontifex family mother and children at their house at 4006 Douglas Road (old numbering) and Gilpin Street. Left to right: Bob, Helen, Vivien, and (standing behind) Beatrix Pontifex (mother). 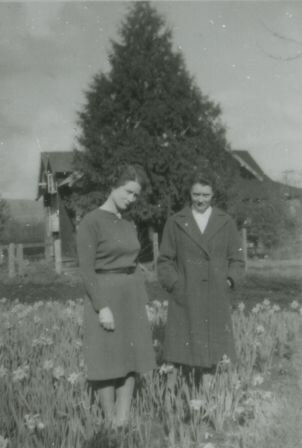 Photograph of sisters Vivien and Audrey Pontifex at 4006 Douglas Road (old numbering) and Gilpin Street, standing beside a host of daffodils. 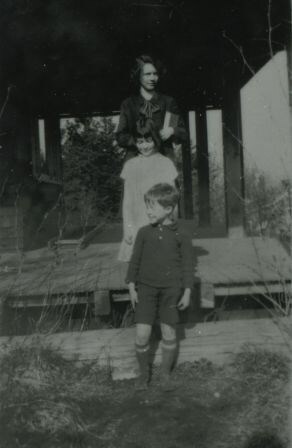 Photograph of siblings Bob, Helen and Vivien Pontifex standing outside of 4006 Douglas Road (old numbering) and Gilpin Street. 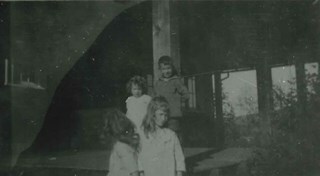 Photograph of the Pontifex children standing outside of 4006 Douglas Road (old numbering) and Gilpin Street. Left to right: Helen, Vivien, Audrey, and Bob Pontifex. 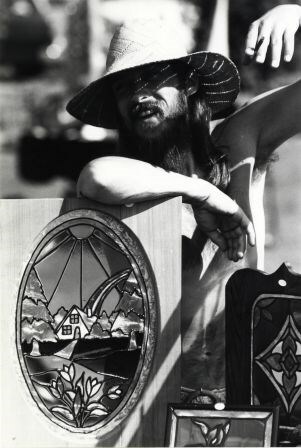 Photograph of Basil Pontifex at 4006 Douglas Road (old numbering) and Gilpin Street. 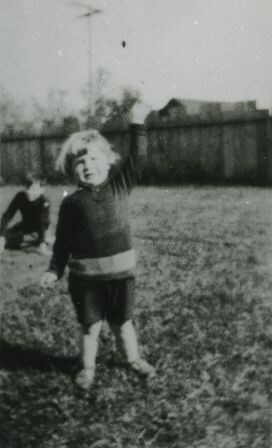 An unidentified boy is in the background on the left. 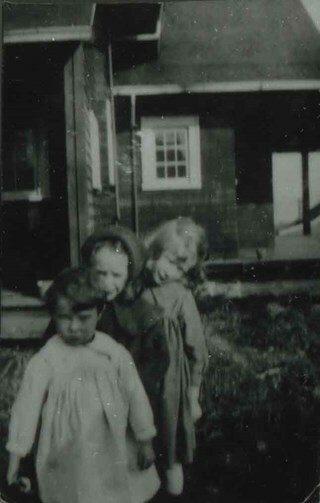 Photograph of siblings (back to front) Audrey, Barbara and Basil Pontifex at their house at 4006 Douglas Road (old numbering) and Gilpin Street. 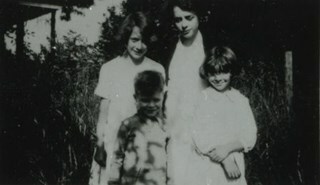 Photograph of Pontifex family siblings at 4006 Douglas Road (old numbering) and Gilpin Street. Clockwise from top left: Audrey, Helen, Barbara, and Basil Pontifex. 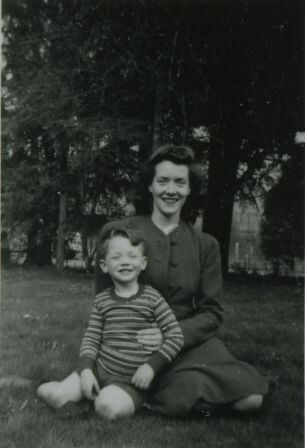 Photograph of Bruce and Audrey Devereux (nee Pontifex) sitting on the lawn at the front of 4006 Douglas Road (old numbering) and Gilpin Street. Photograph of the Valleyview Community Centre parade, possibly at Gilpin Street. 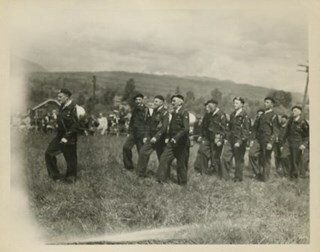 Older men in uniform are seen in marching in a field. Photograph of Pontifex family members and a friend at Gilpin Street and Grandview-Douglas. 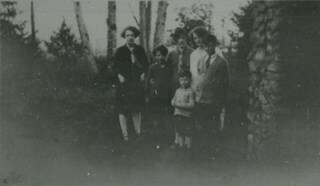 Left to right: Helen Pontifex, Audrey Pontifex, Helen Campbell, Basil Pontifex, Beatrix Pontifex, and Bob Pontifex. 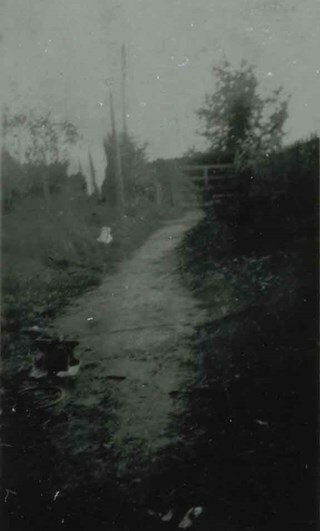 Photograph of the back lane of the 4000 block of Douglas Road (old numbering) at Gilpin Street. Photograph of a woman and a girl standing by a chickenwire fence, looking at the geese and chicks. Vegetable gardens and a log building can be seen as well. 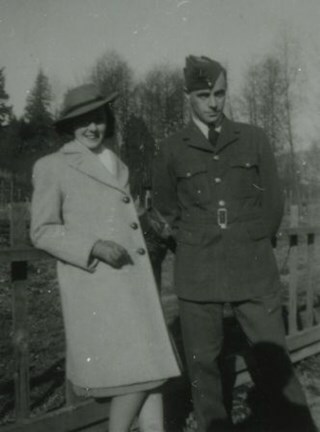 According to the note in the accession file, the woman is Mrs. Sylvia Cowan, the second wife of Mr. James Cowan since they were married in 1922, and the girl is one of Mr. Cowan's two daughters from his first marriage. The property depicted in the photograph was at 2930 Gilpin Street (later renumbered 5926 Gilpin Street), where Mr. Cowan purchased two acres of land to build a home in 1919. After settling in Burnaby in 1923 at that property, Mr. Cowan became active in serving the community, eventually earning the honour of having a memorial hall named after him, which later changed to the James Cowan Theatre. An annotation on the back of the photo reads: "2930 Gilpin in 1923/24 / 2 acres, vegetable gardens, chickens, a cow, geese / more info in files / Cowan Property." Stamped on the back of the photo: "0110." 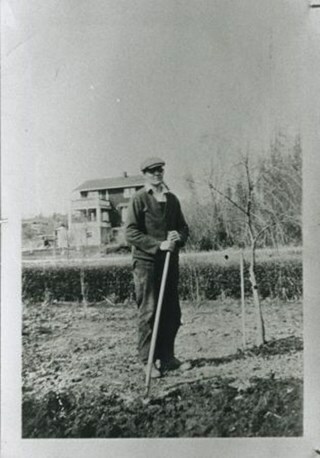 Photograph of James Cowan working in the garden at his family home, 2930 Gilpin Street (later renumbered 5926 Gilpin Street). 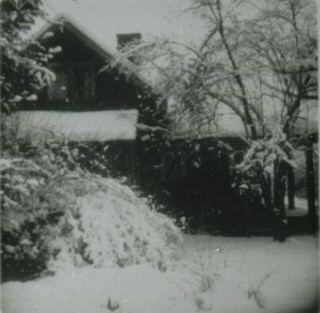 Photograph of the Cowan family home, 2930 Gilpin Street (later renumbered 5926 Gilpin Street),taken after a big snowfall. Photograph shows the Burnaby Municipal Hall West Building at 6161 Gilpin Street (old address). The building was designed in 1975 by Freshi, King and Associates, architects. 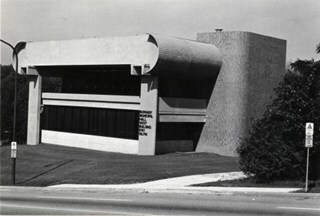 Photograph shows the Burnaby Art Gallery at 6344 Gilpin Street (later 6344 Deer Lake Avenue). Built in 1908 by R. P. Twizell as the private residence of Henry Ceperley. 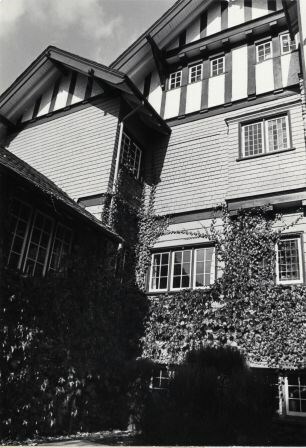 For a time, it was the home of Vancouver's former Mayor Buscombe. 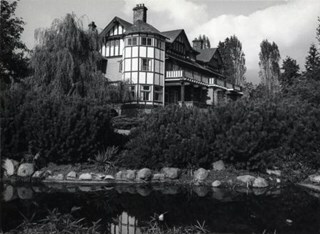 In 1940 it was occupied by the Order of Benedictine and later became the communal dwelling of the Canadian Temple of the Universal Foundation of More Abundant Life. 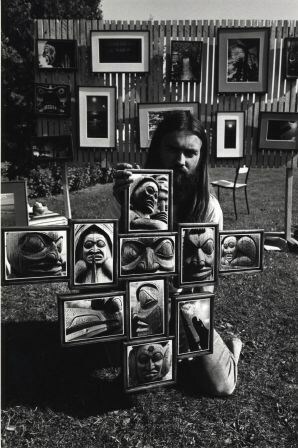 The conversion of the estate to a cultural centre was Burnaby's centennial project and the first art show was held in June 1967. 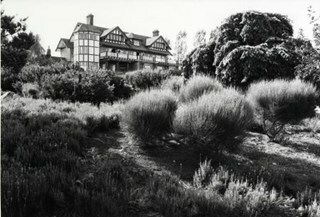 Photograph shows a view of the Burnaby Art Gallery from the south side with a portion of Century Park Gardens in the foreground. 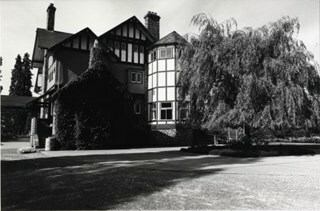 Photograph shows a view of the Burnaby Art Gallery. Photograph shows the west wall of the Burnaby Art Gallery. 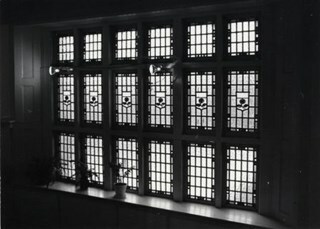 Photograph shows a window inside the Burnaby Art Gallery. 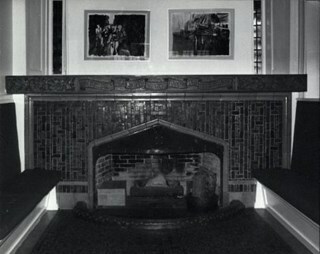 Photograph shows the fireplace in the living room of the Burnaby Art Gallery. 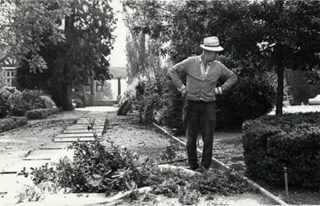 Photograph shows one of the municipal gardeners at work in Century Park surrounding the Burnaby Art Gallery. 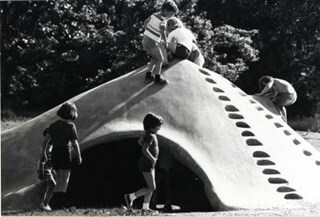 Photograph shows children playing in Century Park. 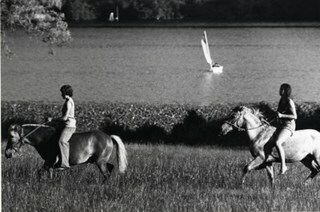 Photograph shows children playing in Century Park, with Deer Lake in the background. 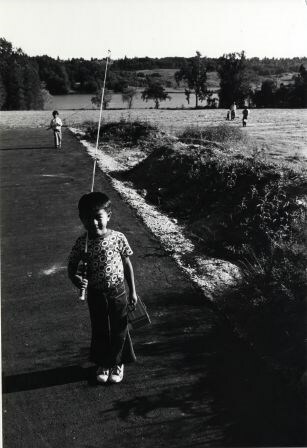 Photograph shows Ross Wvong, age 6 years, with his fishing rod and tackle box near Deer Lake in Century Park. 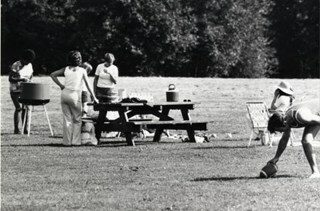 Photograph shows a picnic in Century Park. 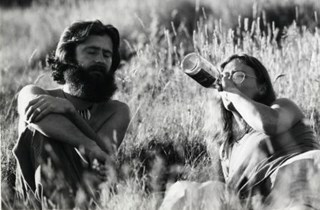 Photograph shows Michael and Nancy Latham relaxing in Century Park. 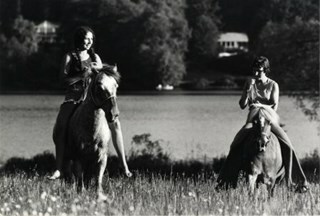 Photograph shows Sandie Hildebrant and Valerie Beliak riding horses in Century Park with Deer Lake in the background. 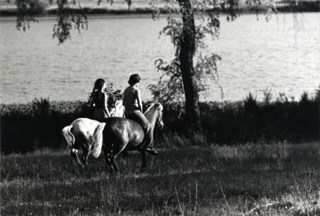 Photograph shows Valerie Beliak and Sandie Hildebrant riding their horses beside Deer Lake, in Century Park. 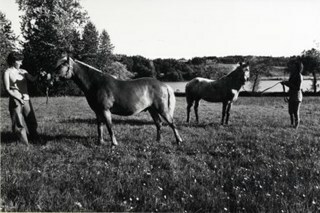 Photograph shows Valerie Beliak and Sandie Hildebrant with their horses beside Deer Lake, in Century Park. 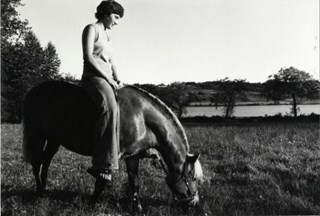 Photograph shows Valerie Beliak sitting on her horse while it grazes beside Deer Lake, in Century Park. 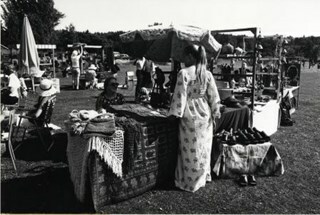 Photograph shows the open air Craft Market in Century Park. Photograph shows artist Blake Williams displaying his work at the Craft Market in Century Park. Photograph shows craftsman Richard Varming displaying his work at the Craft Market in Century Park. 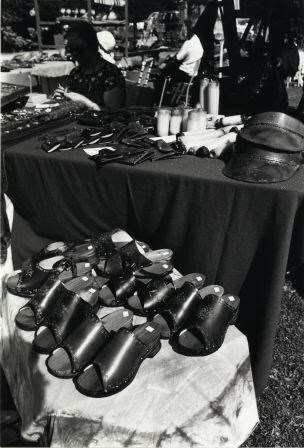 Photograph shows clogs, leatherwork and candles on display at the Craft Market in Century Park. 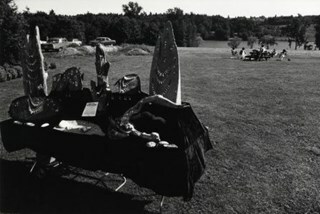 Photograph shows jewellery on display at the Craft Market in Century Park with a picnic table and Deer Lake in the background. Photograph shows sculptor George Rammell at the Craft Market in Century Park. 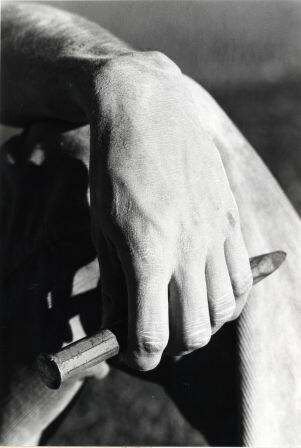 Photograph shows the hand of sculptor George Rammell at the Craft Market in Century Park.